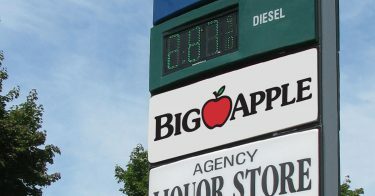 Big Apple is family-owned convenience store chain with 70+ stores across Maine, New Hampshire and Vermont. 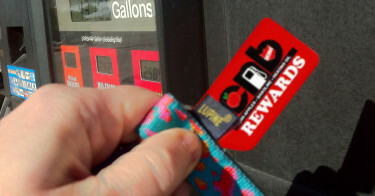 In 2015, the company was experiencing a lack of brand awareness and a decline in fuel sales due to low gasoline prices. That summer they partnered with Vreeland to help raise their brand profile and drive in-store sales to offset fuel losses. Big Apple Food Stores partnered with Vreeland to promote their rewards program with a primary goal to build brand awareness and membership amongst millennials. We targeted on-the-go 18-34 year olds through a six-week radio, social, in-store and promotions campaign. Vreeland gives new meaning to pirate radio with a swashbuckling spot for C.N. Brown’s Big Apple Rewards Program. 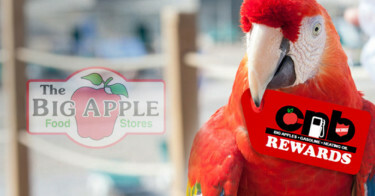 The campaign features a clueless buccaneer, his gabby parrot, and a savvy Big Apple Rewards customer who helps them find the best rewards program around.